Teens! The stage is waiting for you! 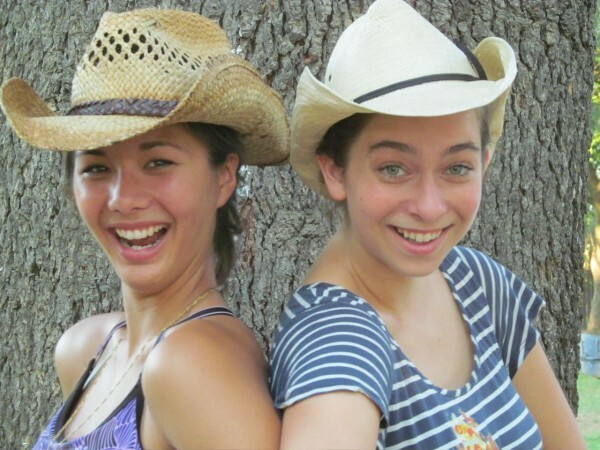 This summer Winters’ teens can make new friends, and sharpen their performing skills in the Winters Shakespeare Workshop production of The Comedy of Errors. Set deep in the 21st century, The Comedy of Errors will open a window into the future. Acting, juggling, music, dancing, and stage combat will all be part of this blast of training for the stage. Winters Shakespeare Workshop runs five evenings a week for 5 weeks, led by our professional director, experienced coaches, music director, and choreographer. Photo: Caitlin Flaws and Thea Kwan from the 2013 WSW production. Teens ages 13 through 18 may sign up now. Workshops run Sun through Thursday evenings 6:30-9:30PM from June 14 through July 16. in Winters City Park. Performances of The Comedy of Errors will be July 17 and 18, Fri and Sat at 8 pm in Winters City Park at the corner of 4th and Main Streets. The fee for this summer’s workshop/production is $250. Scholarships are available. or Download, print and fill out the form and return it to the library. Like us on face book and spread the word. Call 795-3476 for more information. Winters Shakespeare Workshop is a summer youth program of the Winters Friends of the Library.